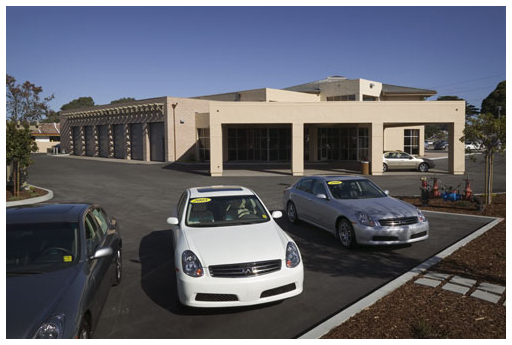 A new auto dealership has been designed by TJC for Tom Maher, MY Imported Cars, on a 1.9 acre site in Monterey, California. 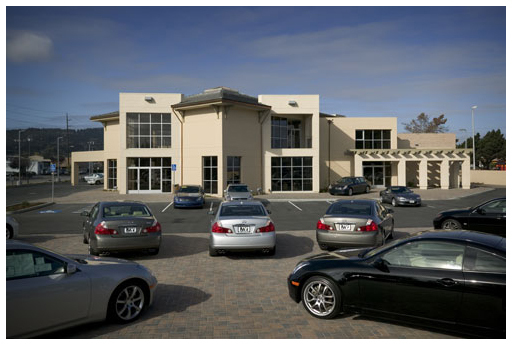 TJC's design concept blends the functional needs of the dealership owner, the guidelines from the auto corporation, and the requirements of the Monterey Planning Department. 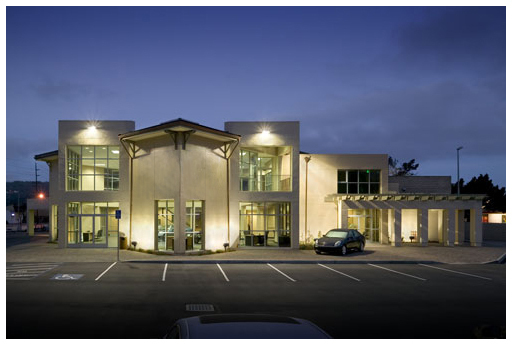 This hybrid design reinterprets the corporation's prototype to incorporate historical features found in other Monterey buildings. The new design has a sloped roof to cover the lofty two-story showroom, large recessed windows which are set between plaster piers, and corner balconies to provide views to the park and the bay. 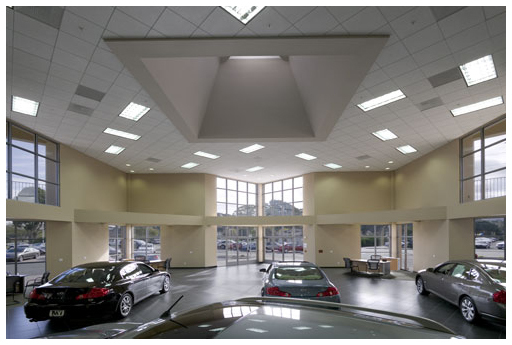 The dealership is about 13,000 square feet on two levels. As requested by the owner, the floor plan arranges the functions of auto sales, parts and customer service adjacent to one another for maximum exposure. The interior materials, colors, and furniture meets the auto corporation's specifications to provide an "upscale luxury environment."